The European Commission has kicked of the process of investigating whether the block exemption from competition law applied to container-line alliances should be continued. It is due to end in April 2020 with initial consultations due to end in December. The allowance is based on the consortia having a market share of under 30%. The review may challenge both that figure as well as the scope of its application. 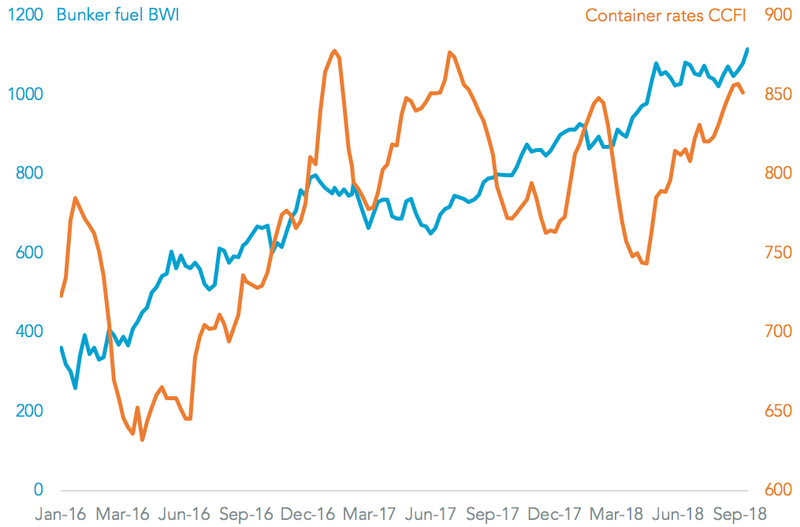 On a global basis in terms of capacity on the water both 2M (Maersk and MSC) and Ocean (CMA-CGM, COSCO Shipping and Evergreen) are close to falling afoul of the 30% rule. 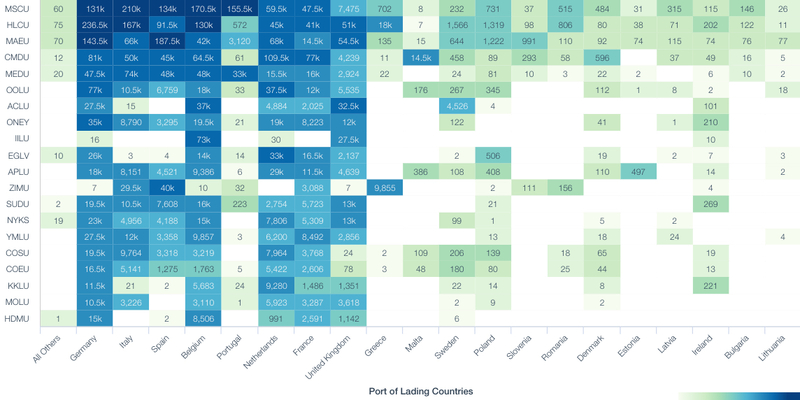 The 2M Alliance had 7.29 million TEUs of capacity vs. 21.8 million TEUs for the top 100 container-lines, Panjiva analysis of Alphaliner data shows. 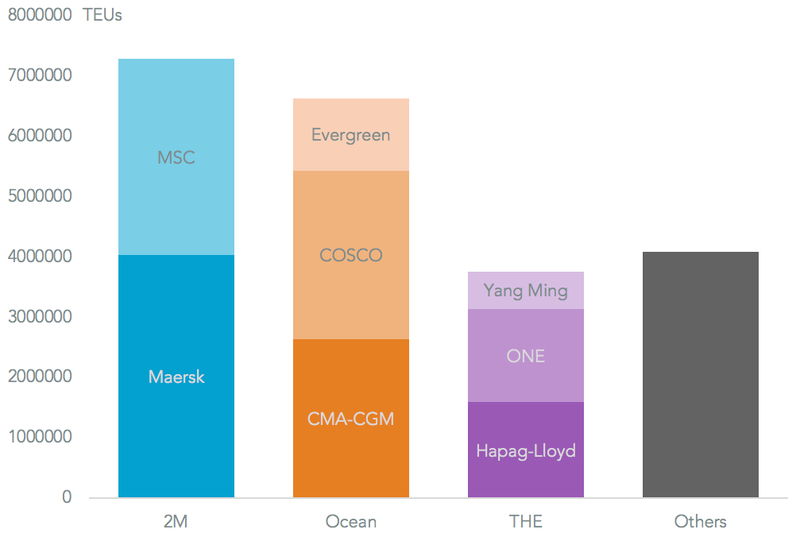 Ocean reached 6.66 million TEUs while THE Alliance reached 3.76 million TEUs. 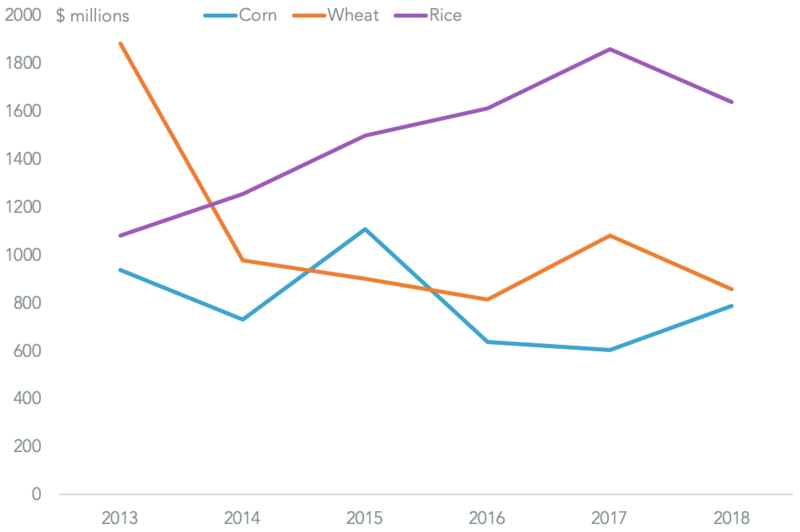 The remaining top 100 liners had an 18.8% share between them and so are unlikely to provide much of a competitive alternative at a global level. The review may also look at a wide range of trade lanes to determine whether the consortia are dominating particular routes. 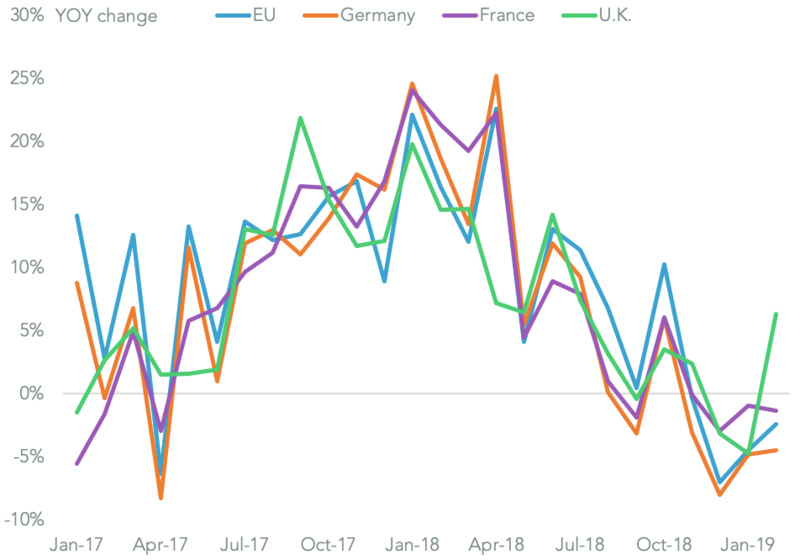 Assuming the EC confines its study to European outbound routes the three alliances currently have a combined 87.8% of EU-U.S. routes in the past 12 months, Panjiva data shows. That’s principally due to 2M’s 44.7% share while THE Alliance had a 26.2% share and Ocean a more modest 16.7%. One new challenge for the continuation of the exemption is the decision of THE Alliance and Ocean Alliance to jointly operate routes from the western Mediterranean to four U.S. ports, as outlined in Panjiva research of September 27. The two combined had a 49.9% market share on those specific lanes while 2M had 41.5%. One mitigating factor will be a determination as to whether shippers and forwarders can use local alternatives (e.g. Charleston instead of Savannah) as well as service options. 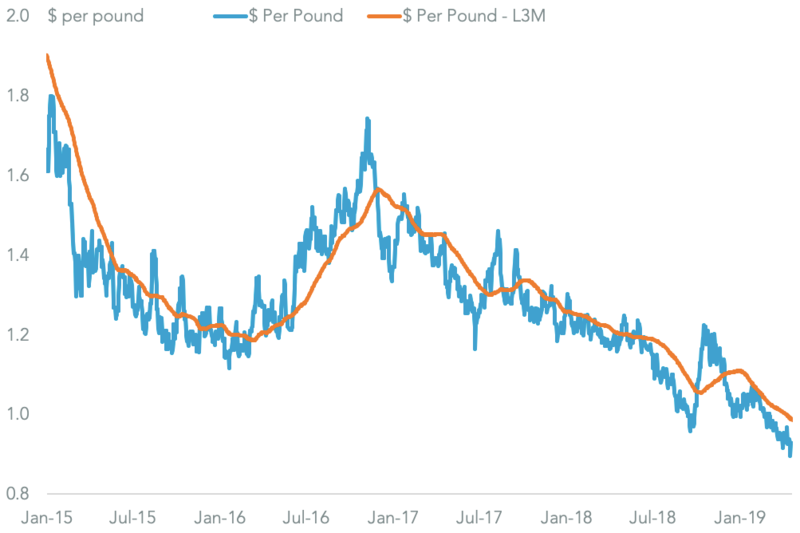 The consolidation in market power through the formation of alliances and mergers between hasn’t necessarily helped the container-lines exercise oligopolistic power on container rates. 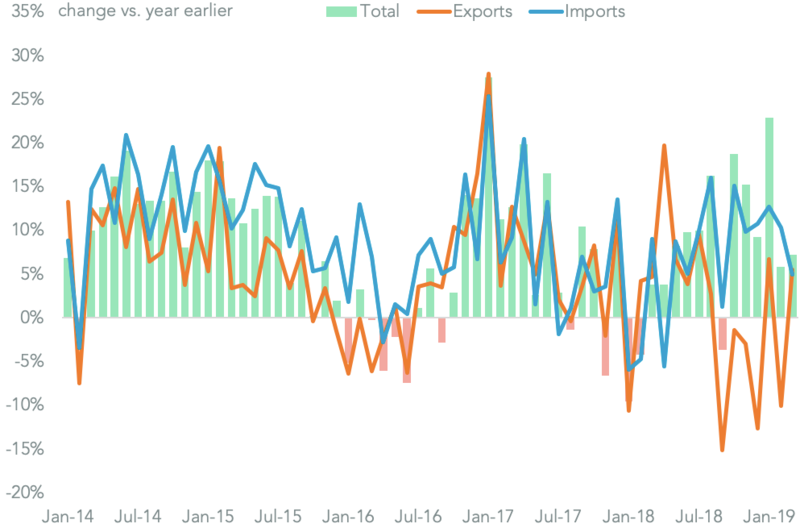 That can be seen in the spread between container rates and fuel costs which have soared in the third quarter of 2018 vs. a year earlier, Panjiva analysis of S&P Global Platts and SSE data shows. The liners had already seen two consecutive quarters of declining profitability which may make for compelling evidence that competition is not being adversely affected by alliance operations.